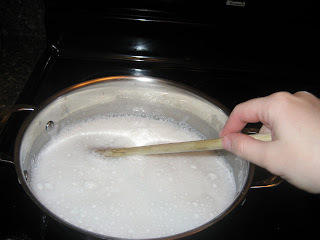 My friend Melissa showed me how to make this liquid version of homemade laundry detergent and it is awesome! 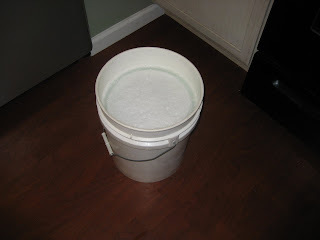 It will yield a little less than 5 gallons and costs a little less than $2. Not bad!! 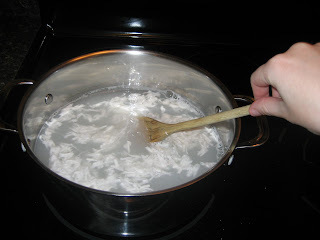 -Melt 3 pints water and the Ivory soap over low heat. -Then fill your jugs. Leaving a little bit of room at the top so that you can give them a good shake before each use. 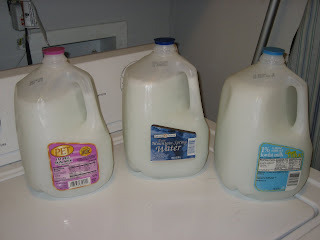 I just press the jugs into the bucket to fill them and then rinse the sides off. Does that make sense? Now you are done! Use 1 cup per loadand shake before each use!